As your student begins their journey on the Capstone we want to make sure they have every tool needed to succeed. Often times that best source of support comes from parents, so we’re here to help you find the best places to start in helping your student. Below you will find several sources here on campus that can help you help your student in the best way possible. We always have something happening on campus and we want you to know the details. Our offices of Parent Programs and First Year Experience have a number of ways you can stay plugged in and help your student through their first year. But regardless of if they’re a first semester freshman or second semester junior our University Events page is your one stop shop for all dates, times, and information for of different special events planned campus-wide. We understand our student’s interests lie beyond just their academics so these are all great ways to help them see what they can do each day to explore campus to it’s fullest.  The College of Arts and Sciences is one of the largest college on campus in terms of both scope and students. To help our students stay engaged in the different offerings we have as a college we run a number of social media accounts they can utilize as their source for news and information. The University’s Social Media page can help you follow important programs, be a “second pair of eyes” for your student, and help them find the engagement they need to be successful here on campus. Helping students find opportunities outside of the College of Arts and Sciences is critical to amplifying their success. Through our work with different graduate and professional schools across the country we know how important it is to student’s success to have more than just course work in their background. Our advisers strive to connect students to these opportunities to make them as successful as possible, and you can help! Through the The SOURCE you can find a number of groups, initiatives, clubs, and organizations students can get involved with, experiencing more of campus along the way. Interested in finding a specific group? Visit them to search all current university approved student groups and even find out how your student get start their own if they can’t find what they’re looking for! Sometimes your student will turn to you for help, and that’s just fine. Through our General Information page you can learn more than enough to help your student get back on track here on campus. Looking to help guide your student through sudden academic issues that pop-up? Ask them if they’ve spoken to their professor yet. Is it something outside of the classroom setting? The Dean of Students Office can help them work with their professors and academic advisers to explore other options and provide the support they need. Need to learn more about the majors offered and their requirements? Our catalog is open and available online for everyone to use. Maybe you need to know when graduation is so you can book your hotel? The University Registrar has all those dates–and more!–at the ready. Best of all the you can search the entire university for anything else you might be curious about. We love to see students throughout our day, even if it is for a simple question. Ask them to come visit us in Clark Hall 200 and we’ll do what we can to get them squared away. Can’t make it in? That’s ok! Email us at student.services@as.ua.edu or call us at (205) 348-5970 from 8AM – 4:45PM, Monday – Friday.